Abu Dhabi Ports and its subsidiary Kizad are currently taking part in the 12th edition of Arabplast, the largest plastics, petrochemicals and rubber industry trade show in the Middle East and North Africa (MENA) region. It is the first time that Abu Dhabi Ports and Kizad are participating in the four-day trade show which is taking place until tomorrow, 13 January, at the Dubai International Convention & Exhibition Centre and showcasing more than 800 companies from 60 countries. Abu Dhabi Ports and Kizad are being featured at the event with an 80-sq m stand (no. 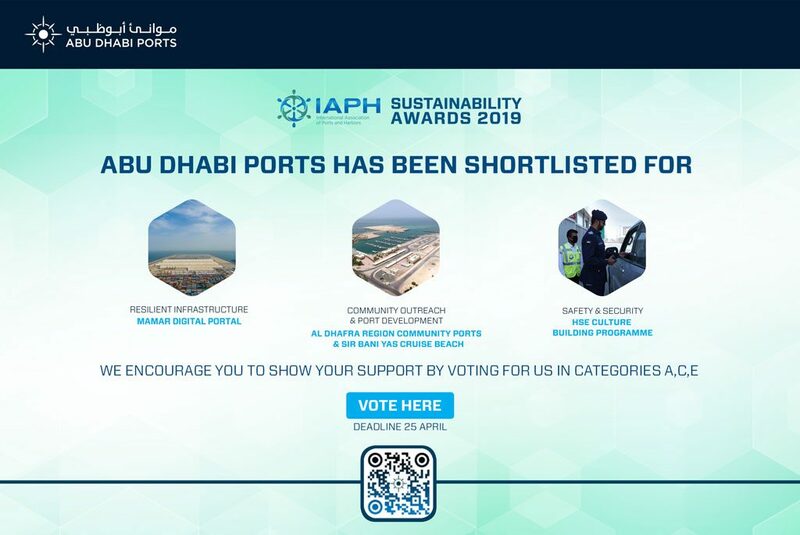 3C186) where visitors have the opportunity to find out more about Khalifa Port and its adjacent industrial zone, including the wide range of trade and logistics offerings for local and international investors. Over the past years, the Middle East has seen continuous growth in the plastics industry sector, especially in the field of polymer production. Technovaa Packaging Industries Ltd, Morgan Advanced Materials and Polysys Additive Technologies Middle East (PAT ME) are only some of the many examples of companies which have chosen the industrial zone as their production base capitalizing on the various Kizad and Khalifa Port advantages.